A sea of flowers will be taking over a Metro Vancouver mall later this month. 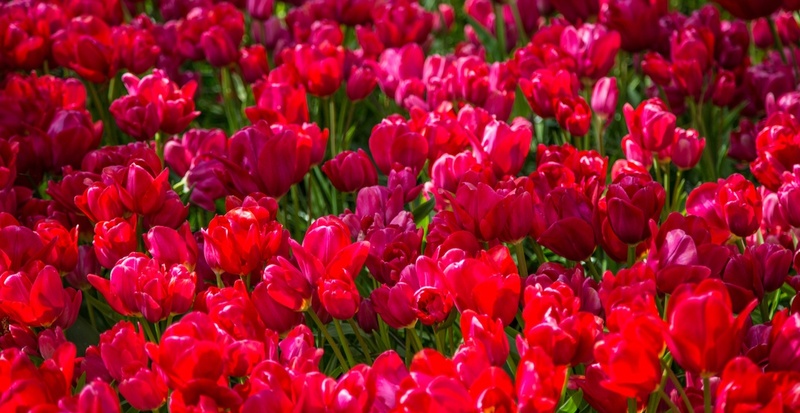 For the first time ever, the creators of the uber-popular Chilliwack Tulip Festival will be bringing I Heart Tulips to the Lower Mainland. The one-day event is a massive floral installation that will be taking place at Metropolis at Metrotown on January 26, 2019. Metrotown’s Grand Court will see 10,000 live, red and white tulips, arranged in the shape of a heart. The installation will be viewable from all three levels of the mall from 10 am to 1 pm. Following that, at 1:30 pm, guests will be able to take their pick of tulips to bring home, for a minimum donation of $5 for five tulips. The event will end once all 10,000 tulips have been picked. Proceeds from the installation will go to Variety – the Children’s Charity, an organization that has been providing direct help to BC children with special needs for more than 50 years. I Heart Tulips will also include a tulip selfie stand, photo frames, and the opportunity to take pictures with Tilly, the tulip mascot. Pre-cut tulips will be available (by donation) and all tulips can be wrapped on site for easy transport. And of course, visitors will be able to enter a draw to win tickets to the 2019 Tulips of the Valley Festival, which kicks off this April.